Every year, Wine and Spirits Magazine releases a list of their Top 100 Wineries, which honors wineries and winemakers that, more than having a single outstanding wine, have an outstanding series of wines that came out on that particular year. This year we were very excited to find three Douro wineries: Quinta da Romaneira, Quinta do Noval and Taylor’s; as well as two other Portuguese winemakers: Àlvaro Castro and Herdade do Esporão, were included in this list. This year, over 12.500 wines from wineries from all over the world were sampled for this award. Wine and Spirits Magazine prestigious position among wine enthusiasts, producers and distributors will surely help cement the reputation of these three famed Douro wineries. Want to get to know them a little better and see what they have to offer? Here’s a short introduction to each of the three Douro gems who were named on the list. Taylor’s is one of the oldest Port houses in the region, with the founding of the company we know today as Taylor’s dating back to 1692, before Port Wine was even produced. It’s part of The Fladgate Partnership that combines the three prestigious houses of Taylor’s, Offley and Fonseca, all well known names in the Port wine world. For being a large Port producer, Taylor’s is atypical in some ways. They tend to be very selective in the quality of their wines, more so than other large-scale Port wineries. For example, larger wineries’ entry level Ruby and Tawny Ports are often designed to reach a large audience, so they tend to focus on sweetness above balance, and are produced in a larger quantity to keep the costs down. Taylor’s prioritizes complex flavor profiles, while also leaning towards the more expensive end of the spectrum. This could affect the potential reach of the brand, but their quality standards really shine when it comes to awards like this, that honor the whole wine portfolio of a winery. Taylor’s higher-end wines include several old Tawny Ports, as well as Late Bottled Vintage and Vintage Ports. Keep an eye out for Vargellas Vinha Velha, a premium wine made from the top vintages of a small plot of old vines located at Taylor’s flagship estate Quinta de Vargellas, which reaches consistent high 90s scores on several wine magazines. Quinta do Noval is no stranger to awards, and this one further cements their reputation as one of the leading wineries in the Douro today. We experienced this first hand on a trip to their Cellar in Vila Nova de Gaia, where we were able to sample part of their Port portfolio. Quinta do Noval has been in the business since 1715, and has for years been a reference for quality in the Douro. Noval, whilst a relatively big producer, maintains the spirit of a smaller estate. Their entry level wines are all top quality and the relationship they have with the Douro is less of a financial partnership, and more of a love story, all of which shows in their wines. In addition to their Port wines, Quinta do Noval also produces still wine. Their “Quinta do Noval” red has been described as the perfect greeting card for all Douro red wines. On their still wines portfolio there’s also a very interesting recent entry: “Labrador Syrah”, an experimental wine made with 100% Syrah and named in honor of Portal’s Technical Director António Agrellos’ dog. The pinnacle of Noval’s quality is, for many, also the pinnacle of all Port wine. Noval’s “Vintage Nacional” is a truly special wine. As a baseline for quality, it has consistently hit the high 90’s on Wine Spectator reviews, twice hitting 100 points in 1963 and 1994. The latest vintage, 2011, earned 98 points. It is even more remarkable if you consider the fact that it is made from a very small plot of vines, that come from a sector at the very heart of the estate. These vines are ungrafted and untouched by Phylloxera, the only ones in Portugal and one of the few in the World that can claim such a feat (read more about that here). Another Douro winery that has earned it’s fair share of awards is Quinta da Romaneira. While the name suggests some Roman origin, an actual connection to the Romans has not yet been proven. It’s no question however that it is an old estate, confirmed by it’s presence on all of the early maps of the region, including the famous Baron Forrester map. Recently the winery has been adopted by Christian Seely and António Agrellos. 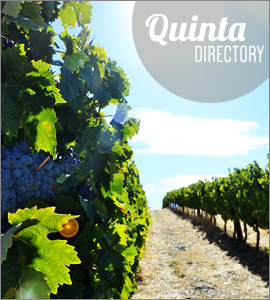 And if Antonio´s name sounds familiar, it’s because you’ve just read it in the section about Quinta do Noval. Christian Seely and António Agrellos are in charge of both of these estates, making them a serious success story for this year. Definitely not a coincidence, we expect to hear much more about these estates in the near future. Since 2004, Quinta da Romaneira has established itself as a maker of great Ports, with excellent Vintages and unfiltered Late Bottled Vintages (of the 2007 and 2009). But the winery has been truly outstanding in its production of still wines, which you can see by browsing through their extensive Ratings and Awards. Their experiments with Syrah and Touriga Nacional are particularly interesting. Romaneira makes two reds that express the full potential of what the Douro has to offer: while Sino da Romaneira is a blend of four different grapes, very fresh and floral. Quinta da Romaneira Reserve is what we would call a true Douro wine: blended from Touriga Nacional and Touriga Franca, it is intense and powerful, and has the red fruit character that can only be found in this region. 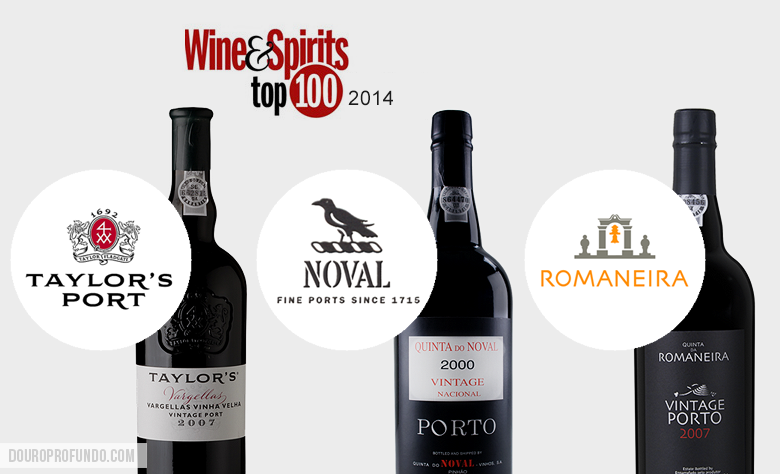 We look forward to seeing more Douro wineries in next year’s Top 100. As the Douro gains more recognition, we should be seeing more wines and wineries winning awards in the future. But if there’s a lesson to be learned from these three we just talked about, is that you achieve success through hard work and a relentless pursuit for quality and improvement. Photos courtesy of: Taylor.pt, QuintadoNoval.com, and QuintadaRomaneira.pt.